Nur experience in the manufacture of display has helped us in developing new products, in this case high-end furniture stores. The quality in the continuous manufacture being a prerequisite in the high end furnishings,Trust Moidecar for furniture. We offer great services, all tailored to your needs. We adapt to your needs, contact us and establish their claims, the design department develop a product design plan that meets all your expectations. We seek to add value to your brand, because in the personalization of your brand is the difference. Our products are designed exclusively for you. Set of low tables and wall shelves designed for Marie Claire Brand | Spain. 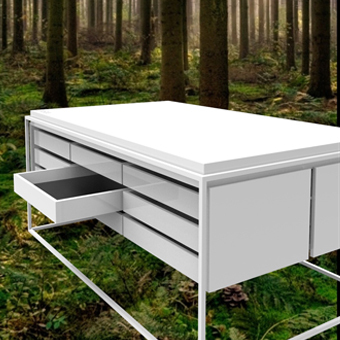 Set of tables, consisting of simple, low table and drawers, designed for Zara Brand.